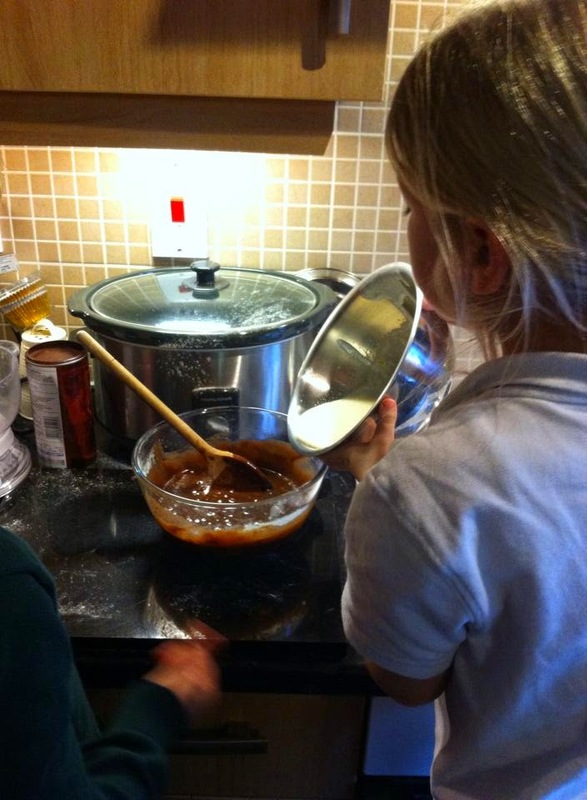 Red Nose Day appeared and The Sweetpeas took part in their school "bake off". They made some Coca-Cola cakes as we thought it would be something a little different from the usual sponge cakes. So this is how we transformed all those ingredients into some pretty yummy cupcakes. 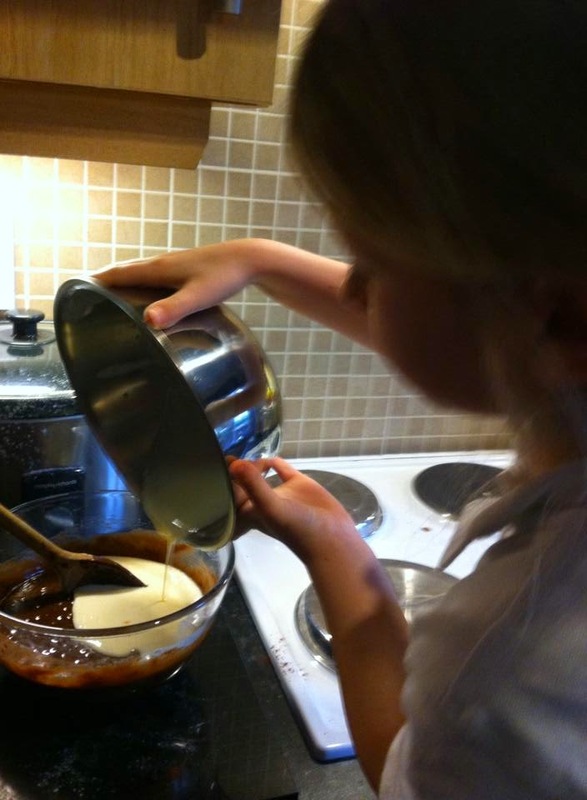 Harvey combined the flour, sugar, baking powder and salt in one bowl whilst Alyssa mixed the buttermilk, egg and vanilla essence in her bowl. I melted together the butter, Coca-Cola and cocoa in a suacepan over a low heat. I then poured the Coca-Cola mixture into Harvey's dry bowl. He then mixed it all together before we then added in Alyssa's buttermilk concoction. You really need to beat it well in order for it to combine altogether. It may look like it will never happen but it will suddenly all turn to a glossy chocolate mixture. 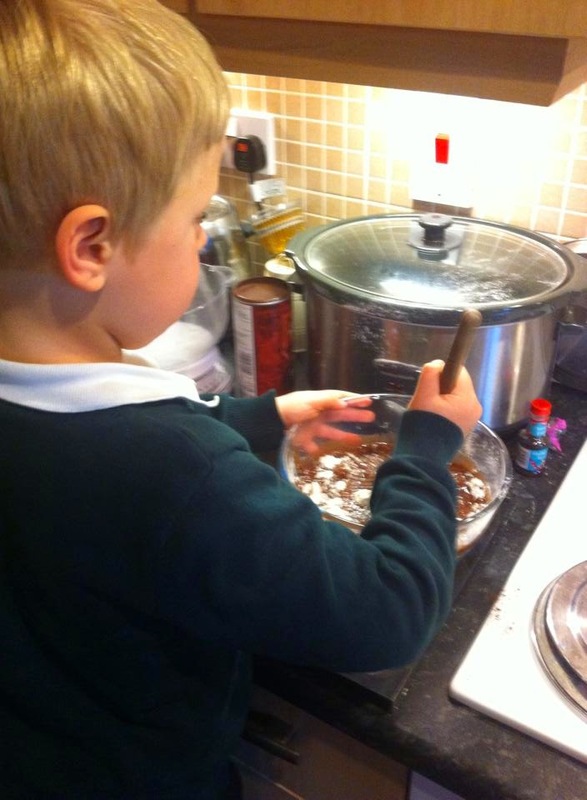 The cake mixture is then poured into cake cases. 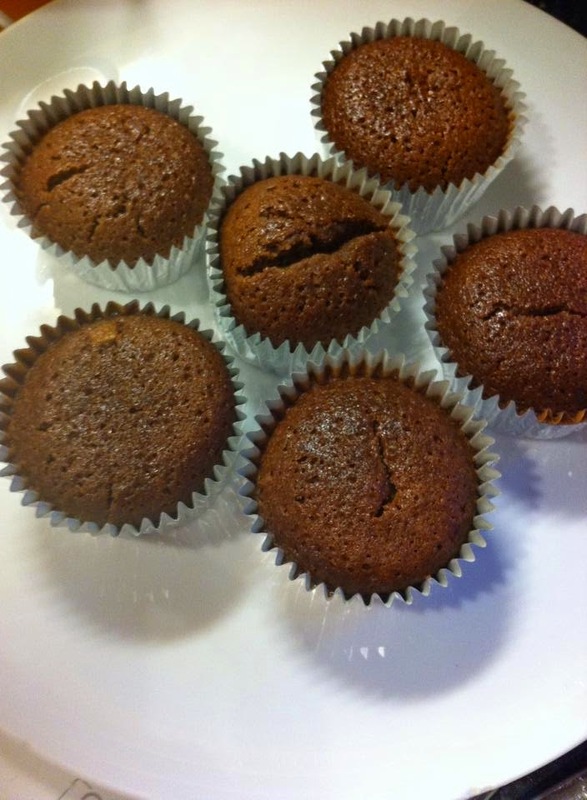 We used some great silver foil cases inside a silicon muffin tray. We filled them nearly to the top. After cooking in a preheated fan oven at 180 degrees C, this is how they turned out. They took about 17 minutes for my batch but you just need to cook until a skewer comes out clean when test them. This mixture makes 12 cakes. We allowed them to cool before icing them. Mix together the butter and icing sugar. Add in the milk and Cola syrup. The original recipe said to beat with an electric whisk slowly and then increasing until it becomes light and fluffy. 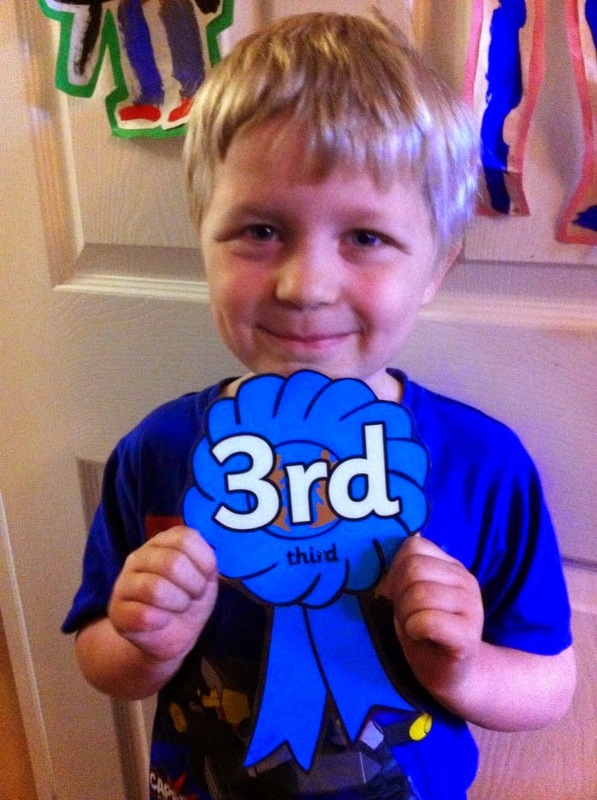 They were awarded 3rd place in the Red Nose Day "bake off" at their school too. There was half a tub of buttermilk left so I thought I should make use of it rather than waste it. I made the same mixture and just baked it in a normal cake tin to make one giant cake. 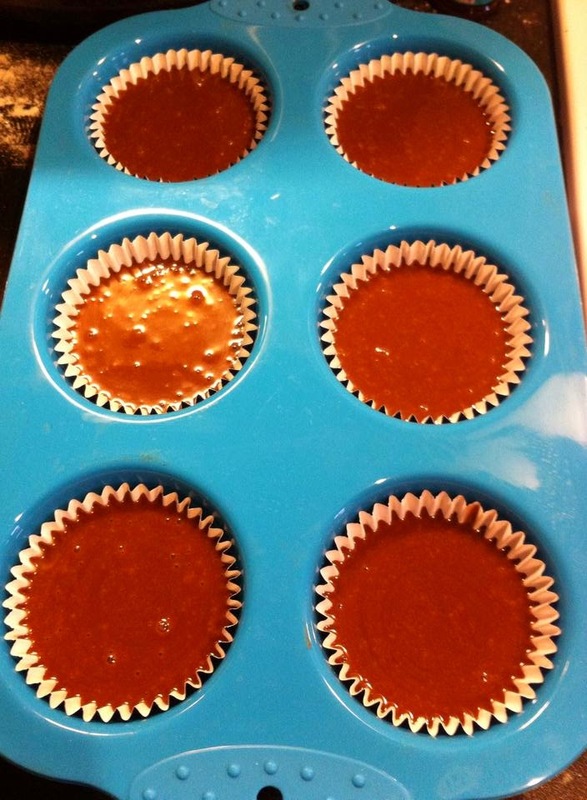 These definitely worked better as little cupcakes I found but they do have an unusual taste. I thought the little cupcakes were great and I shall definitely be doing the frosting again if nothing else. I like the addition of the popping candy especially. Yes definitely a "treat" cake due to the sugar content. These sound absolutely amazing!!! I think I may just have to give these a go! 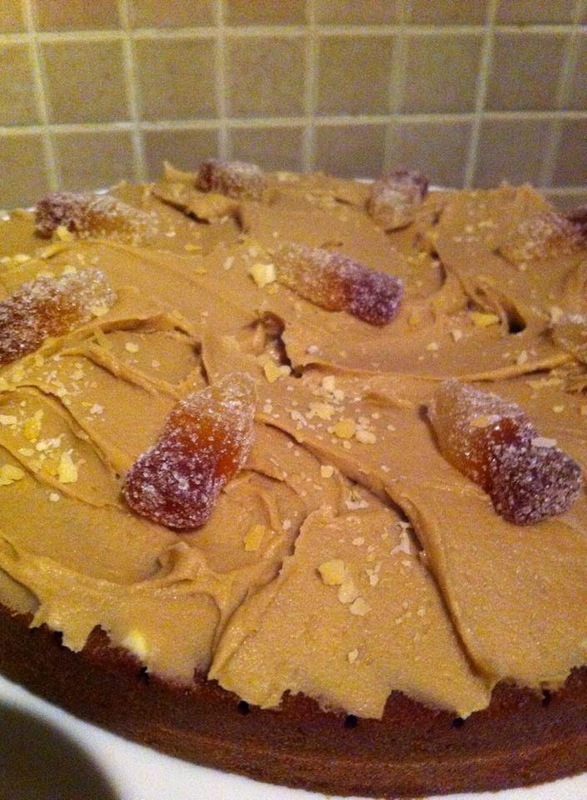 I love the idea of using cola in baking and then decorating with popping candy and coke bottle sweets. These look lovely and I am sure they tasted great too. What an interesting cake! 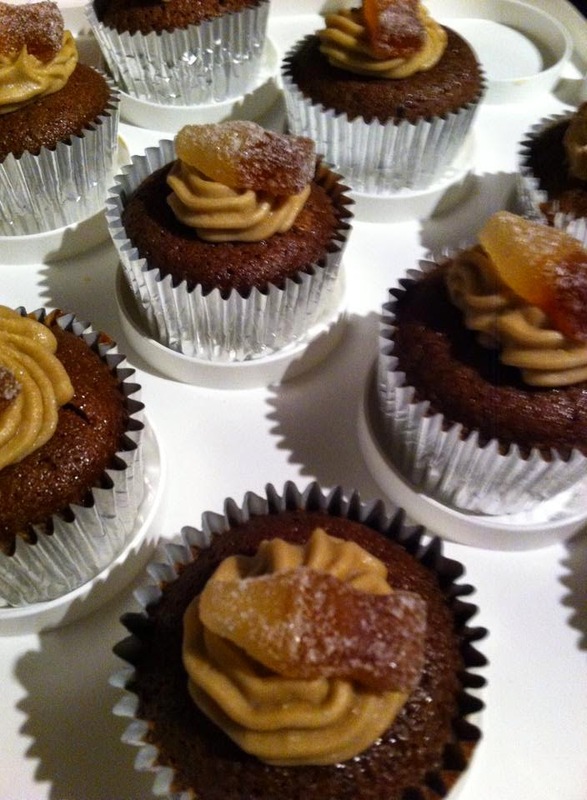 I would never have thought of putting cola in cupcakes but they look delicious! 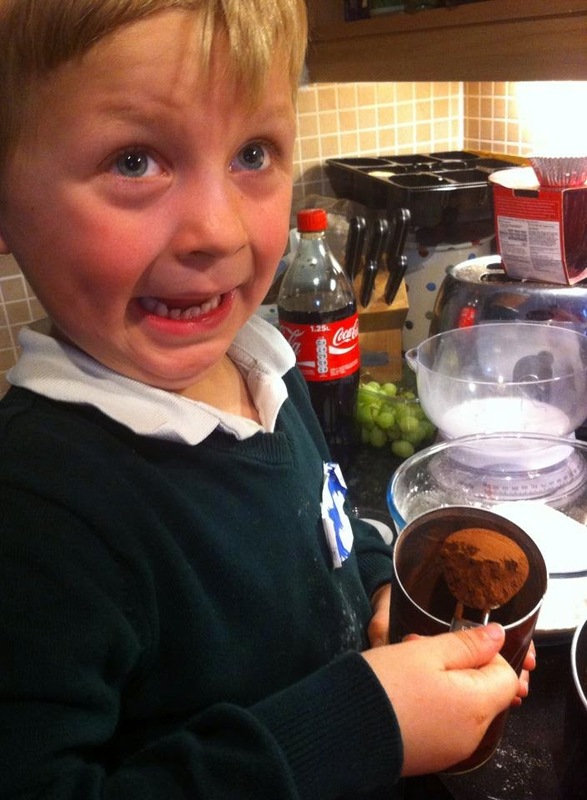 How fun to make cakes with Coke - my son would love to try that! But what did they taste like? They were like a moist brownie with a hint of that cola flavour. yum, well done in the bake off. I haven't used coke in cakes only with cooking gammon! coco cola cakes what a awesome idea, bet they are so sweet but thats not a problem! making me hungry now! Coke is one of my guilty pleasures so these sound lovely!! What a fun thing to do - never thought you could make cakes with coke......I may steal all those sweety coke bottles though, theyre my fave! These sound lovely, but I bet the flavour works better when they are smaller cupcakes. I'm tempted to give these a go.